The South Korean company revealed the date when ChatOn is scheduled to go down, but also confirmed that US customers will be able to use it for a little longer. Less than a month ago, Samsung denied the reports claiming they are going to shut down the ChatOn messaging service. Now they have just made it official - ChatOn will go down at 9 AM on February 1st everywhere, except the United States, where this will happen "at some point in Q1," writes Engadget. Yonhap News Agency quotes an official statement by Samsung that says "Under changes in the services operation policy, ChatOn will be closed as of 9 a.m. on Feb. 1, 2015. The move came in line with efforts to meet the changing demands in the market and provide differentiated services to users, focusing on other areas such as health and mobile commerce." Samsung also highlighted the fact that users can store their photos, videos, and chat records before the service goes down. 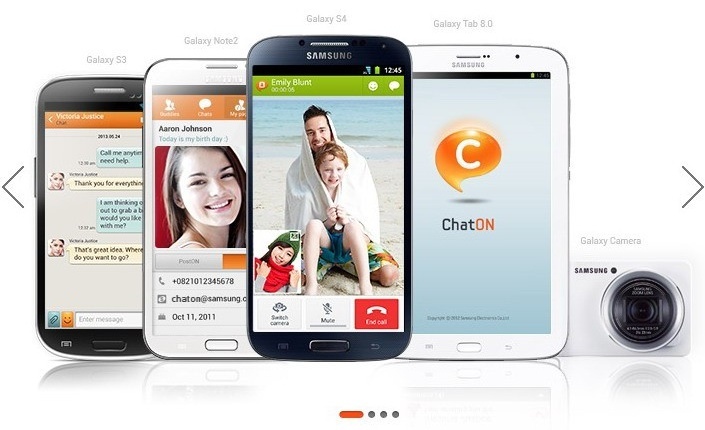 ChatOn launched back in October 2011 and reached 200 countries and multiple platforms, including iOS, Windows, BlackBerry, and Android. Its user base peaked at 100 million because it was preloaded on many smartphones, but it failed to gain enough popularity to be considered worth keeping around by Samsung.